Humate, Humic acid. From stock or special order. Best Quality & price! BariteWorld focus on green agriculture, human health.We are committed to humic acid products development, producing and selling. We have achieved remarkable results on development and application of the agriculture humic acid series,feed farming humic acid series,pharmaceutical grade humic acid. 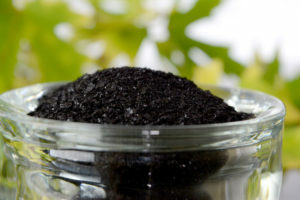 Currently we have Agricultural Product series humic acid base fertilizer NPK, humic fertilization, macronutrients humic fertilization, fulvic acid foliage and the like; lead-acid batteries expansive aspect of high purity humic acid; sodium humate feed grade, pharmaceutical grade humic acid and so on 30 kinds of products. Our main products: original humic acid powder, humic acid granules, sodium humate, super sodium humate, potassium humate, super potassium humate, nitro humate, boron humate, magnesium humate, phosphate humate, potassium fulvate, fulvic acid chelated trace elements have been exported to Europe, America, Japan and South Korea, the Middle East and Southeast Asia more than two dozen countries.